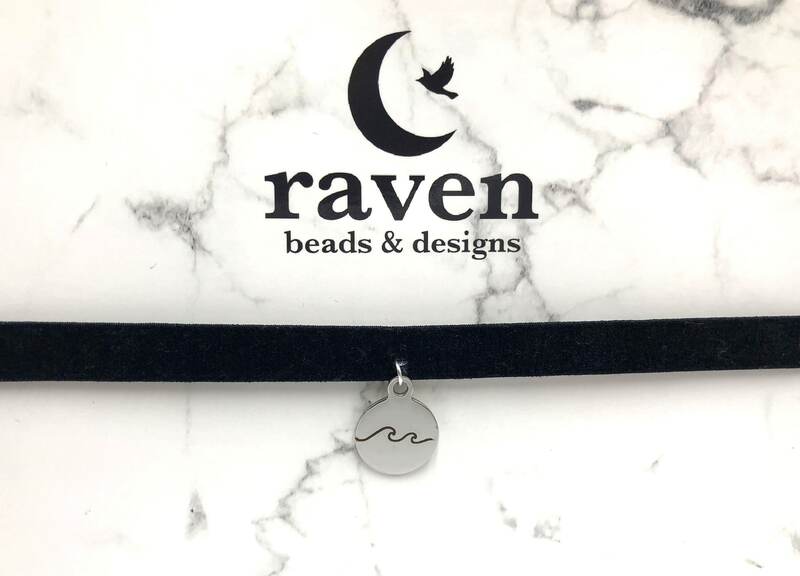 The Wave choker is 11 inches long with a 5 inch soldered extender chain. Lead and nickel free. Stretchy and comfortable velvet ribbon. Very cute, looks just like the picture, arrived on time. Overall excellent experience and will order from the shop again!